Santos Colon planned to utilize a sniper to shoot the pope during his public Sunday Mass Sept. 27 on the Benjamin Franklin Parkway in Philadelphia. He also planned to set off bombs in the surrounding area. 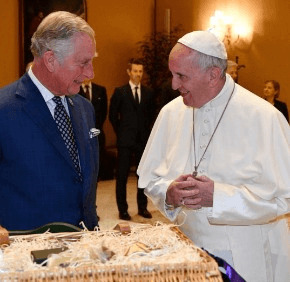 Britain’s Prince Charles and his wife Camilla, the duchess of Cornwall, met April 4 with Pope Francis at the Vatican. Pope Francis has made it possible for bishops to ensure the validity of marriages celebrated in the traditionalist communities.